Local boutiques that are looking to create an online presence need to make sure that they choose a decent website design. The layout and theme that you want for your website can play a critical role in determining the amount of traffic you can generate. If you are running a boutique, it is vital that the design of your website ticks the right boxes. First and foremost, boutiques are all about showcasing the quality of your product. You need to make sure that the layout you choose should be able to support a graphical gallery where you can upload your company’s pictures and data. On top of that, you need to make sure that the layout is attractive enough that it doesn’t bore your visitors. If you go for an annoying, poorly-designed plan for your boutique site, it’s not going to attract a lot of attention. Most of the boutiques that take their businesses online usually need to create a platform where they can talk to potential visitors and sell their items. You need to choose a layout for your website that helps you showcase your products on the site. Not only that, but you also need to make sure that you create an online store through which customers can buy your products. There are numerous WordPress themes that you can choose for your boutique. If you are confused about which one to choose, here are 11 of the best themes available in the marketplace. The7 is less of a theme than a multipurpose website-building kit. The features incorporated within the theme give you maximum control over every element on your site and simplify website building considerably. With the number of features available at your disposal, you can build any website layout that you want. The7 comes with a bunch of specialized functions including a range of visual theme options and a dedicated design wizard that you can use to view the changes that you make immediately. The front-end page builder that comes with the theme is one of the best available in the market right now, giving you maximum control over your site. The7 supports drastically improved WooCommerce integration, allowing you to accept payments from clients all over the globe. Not only this, but you also get a dedicated settings option for the mobile headers that you use on your website. The theme also claims to have added more than 60 new fixes and improvements. The white labeling tool allows you to customize your theme with only a few clicks. There are more than 850 theme options as well as 250-page options that you can use for your site. The theme has a five-star rating and comes with 30 pre-made websites that you can use for your website. Montblanc is a fantastic theme for boutiques that want to increase. It’s a good-looking, well-designed theme that you can customize however you want. You get a plethora of different options that you can use to customize the theme according to your needs, and the sheer variety of options that is available within site makes it very easy for any person to change and optimize the layout however he or she would like. If you are looking for a high-quality theme that can be tailored to your needs without requiring too much time, then MontBlanc is the best choice for you. It’s packed with a bunch of different features, making it an excellent overall choice. MontBlanc is incredibly responsive and comes with multi-page support. It’s ideal for boutiques because you can customize it however you want. The MontBlanc theme comes with the Visual Composer plugin packed in, giving you $39 of value up front. On top of that, there are plenty of dedicated features built into the theme, such as a drag-and-drop layout builder. You can structure the content on your website without ever having to delve into the code so virtually anyone with a little bit of computer knowledge can alter the content and structure it according to his or her needs. 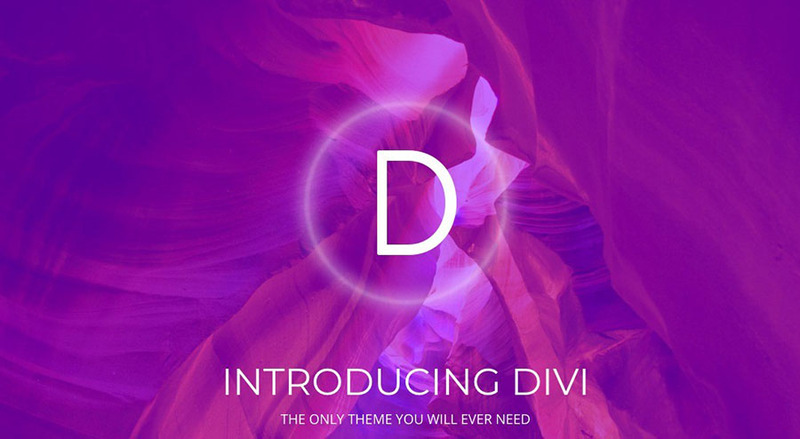 Divi is an all-purpose theme that can be used by a variety of different kinds of websites. Designed for maximum performance and efficiency, Divi allows you to build virtually anything that you want. Divi is an incredibly powerful WordPress theme that is powered by the Divi Builder, which is one of the most potent theme builders in the WordPress marketplace nowadays. The theme has a standard click-and-type editor that you can use along with drag-and-drop functionality, allowing you to customize virtually every aspect of your page. The responsive editing features make it one of the best themes in the market, allowing you to organize everything in one go. Divi supports global elements and comes with 46 content elements that you can use. It also supports global elements that allow you to create customized layouts and make changes however you want. The theme also has a wide range of premade designs that you can choose from as well, making it an excellent choice. On top of that, the Divi Builder is incredibly fast, which means little to no loading time. You can enjoy live, responsive previews every time you make changes to your site as well. All in all, it’s a great choice for people who want to save money and need a good-looking site. Aurum is a minimalistic theme that was designed for maximum performance. 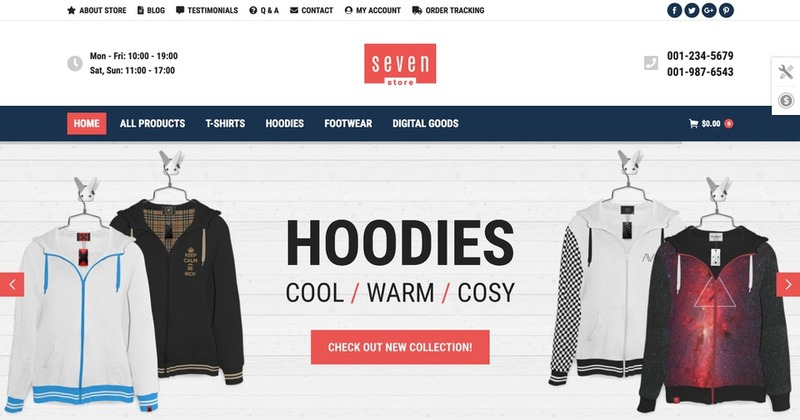 It is an excellent shopping theme for boutiques that want to sell their apparel online. It is currently being used by technology stores, bookstores, jewelry stores, and boutiques. The theme is tailored to your needs and comes equipped with a bunch of different features that you can use to customize your site and make changes accordingly. There are multiple variants available that you can choose from right off the bat, giving you greater control over the site. Aurum has pre-designed layouts that can be used by businesses of all kinds. Whether you have just taken your business online or want to make your social media presence and turn it into a profitable venture by channeling the traffic into your site, Aurum gives you all of the features at your disposal that you can use. It is responsive and retina-ready, so it works phenomenally well on any device. The theme comes with RTL support and has a Mega Menu that you can use to customize the site. There’s a drag-and-drop page builder, and it also has a manifest header that you can use as well. 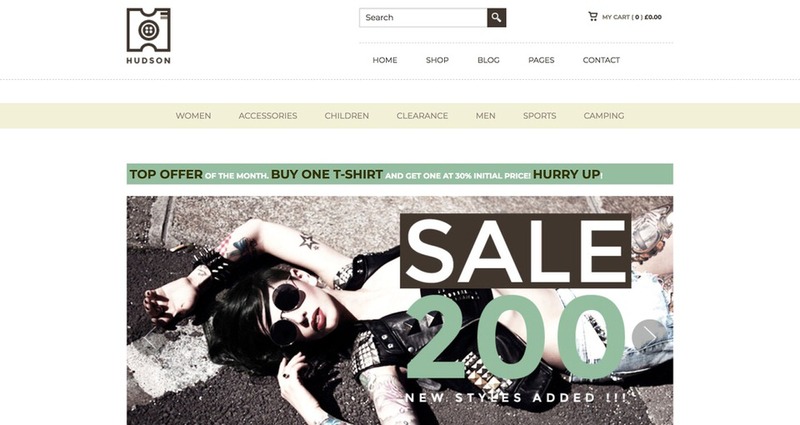 Zeon is another eCommerce WordPress theme that was custom-designed for boutiques. If you are running a boutique yourself, you can quickly set up the website using Zeon within minutes. Zeon supports free shipping and has multiple shopping options, including a cash-on-delivery option. The theme has an excellent layout that is fully customizable, allowing you to change every aspect of the theme according to your wishes. It is a premium WordPress theme and is packed with a bunch of advanced features that you can use to make changes to your site. If you want to create a multilingual site using Zeon, this is an excellent choice. You can easily customize and make changes to your site however you want. You can create custom posts, widgets, built-in shortcodes, integration for social media, beautiful sliders, transition effects, and a lot more. There are plenty of advanced filters, shopping carts, product lists, and user accounts panels. Zeon is a fantastic choice for web designers who want a hassle-free option for designing their sites. Boutique is another fantastic theme that gives you the power to create your store without investing a lot of money. Instead of putting a lot of money into hiring a web designer and building your website from scratch, you might want to consider choosing a theme that was designed exclusively for boutiques. As the name suggests, Boutique is a great choice that comes packed with a bunch of different features. It is compatible with several browsers and is also pretty responsive. Boutique comes with an unlimited number of color schemes that you can choose for your site. You get unparalleled support from the authors, which makes it easy for you to resolve any problems that arise over time. There is a dedicated Theme Options bar that gives you access to a multitude of different options along with Page Templates and a range of shortcodes that you can use to optimize your website’s layout. 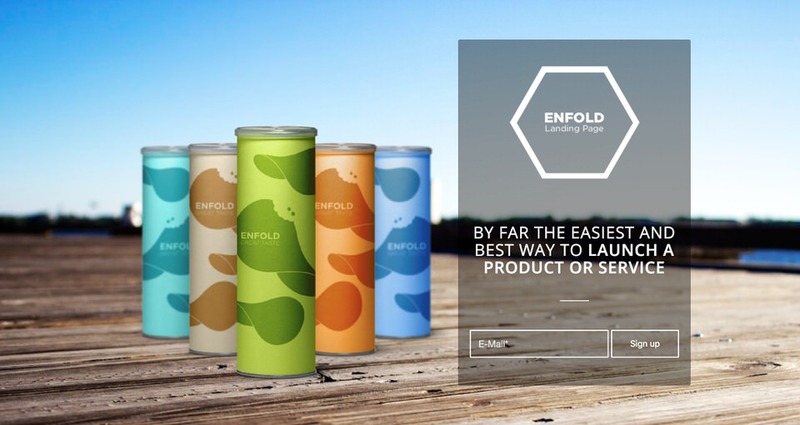 Enfold is one of the top-rated themes available on the WordPress marketplace. This theme comes with fantastic speed and has recently updated with a performance suite, providing you with incredible speeds. The theme gives you exceptional performance and also has a dedicated performance panel and a bunch of features that you can use. It has a very user-friendly panel that you can use to customize the content. The theme has an effortless and easy setup with predefined content and also has a bunch of default demos that you can use as well. It complies with the latest GDPR updates and has a 100/100 Google PageSpeed. You can easily customize the homepage in a bunch of different ways. There are several demos in the theme that you can use as well. 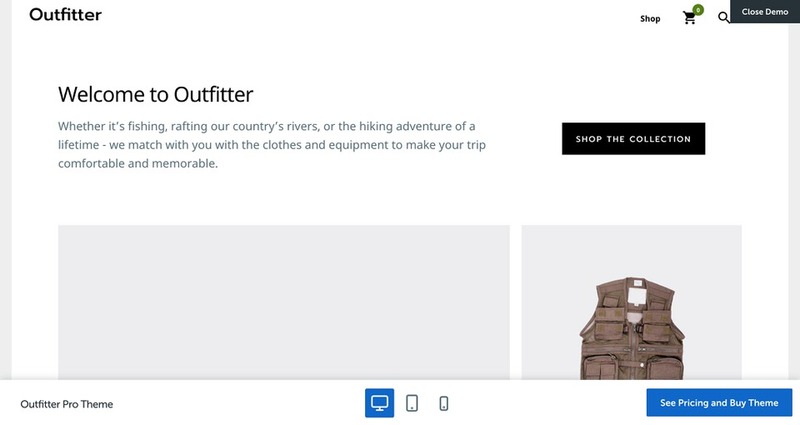 Outfitter Pro is a great theme that is suitable for boutiques. It is designed to help you drive more sales and has a bunch of dedicated options for you to modify the homepage. 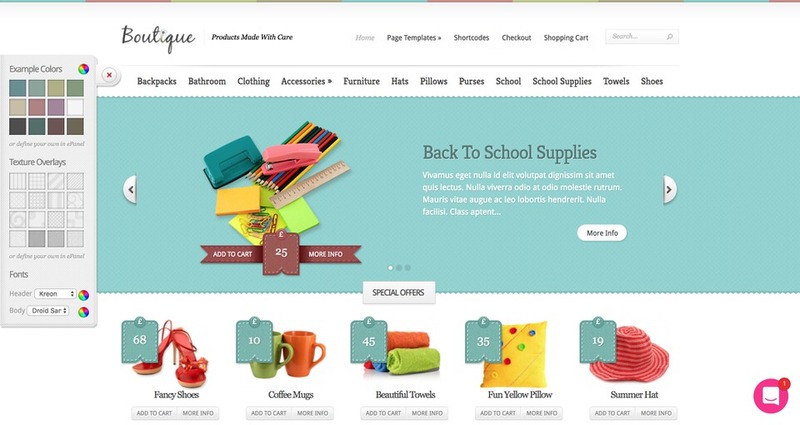 The theme allows you to add click-throughs to different product pages and make more purchases. There are dedicated checkout pages that make the entire process as intuitive and comfortable as possible. The theme has customizable headers as well as a bunch of theme options that can be used by boutiques. There is a dedicated eCommerce option that integrates very well with WooCommerce, allowing you to set up an online store within minutes. It is also mobile-responsive! Jupiter is a multi-purpose responsive theme that was designed for boutiques and businesses that want to target a greater audience. The theme gives you unprecedented support options and is incredibly customizable. Jupiter has a Visual Page Builder and a shop customizer that you can use to create dedicated checkout pages. It has 160 pre-made website templates that you can choose from and also has an Edge Slideshow option that you can use to create a website. 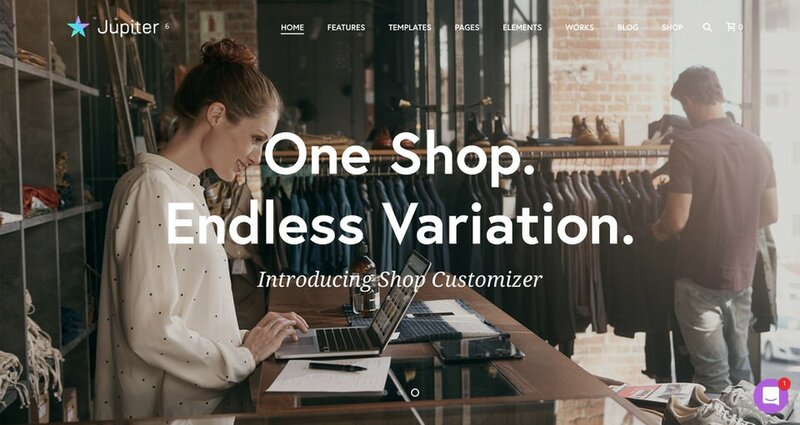 Hudson is yet another theme that is well-designed, looks good, and was designed for e-commerce. The theme comes with pre-designed templates and other features that you can use to create a beautiful design. The theme integrates very well with WooCommerce and is powered by the Tesla Framework. The theme has a range of options including shipping settings and customer management as well as a dedicated tool for managing products and orders. uDesign is a responsive WordPress theme that is used by plenty of customers all over the world. It is fully optimized and integrates very well with WooCommerce. You can import demo sites as well, and it is fully equipped with a bunch of features. 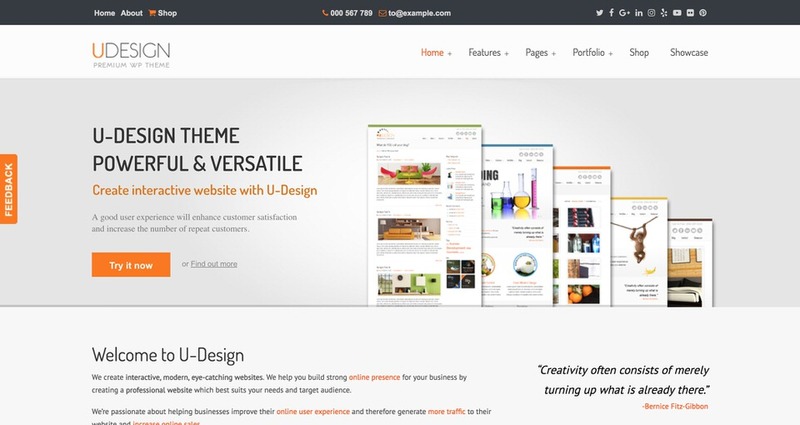 uDesign comes equipped with a bunch of theme demos that you can choose from. On top of that, the theme also allows you to embed videos and pictures and many other options. It’s a fully-rounded theme that is incredibly user-friendly and easy to use.